In recent times, New York City has tried to make the city a healthier and environmentally place for its inhabitants. They raised the tax on cigarettes to $4.35 per pack, and have since then seen a 28 percent decrease in the number adult of smokers. Mayor Bloomberg also tried (but failed) to outlaw oversized soft drink options as a way to have a healthier city. Currently, Mayor de Blasio is working to ban plastic foam containers, including cups and plates, commonly used for fast, take-out food. Mayor Bloomberg proposed the ban of plastic foam containers about two years ago, and de Blasio has decided to push the law into effect. Beginning July 1st, all establishments will be barred from dispersing foam cups and containers. However, they will be given a 6-month grace period to fully transition and find alternatives before being fined. In addition, foam packaging peanuts are prohibited from being sold within the city limits, but peanut-laden parcels can still be shipped to New Yorkers. The main focus for this ban is to push businesses to choose more environmentally friendly alternative packaging. The United States produces nearly 70% of the world’s waste, with New York City generating approximately 14 million tons of trash annually. Environmentalist groups have complained about the polymer’s resistance to degrade while in landfills, but opponents have lobbied to keep the packaging available. New York City isn’t the only city that has banned plastic foam containers. Counties and cities in California, Oregon, Washington, DC, Minnesota, Massachusetts and Maine have already banned the use and distribution of plastic containers. Currently, Hawaii, Illinois, Florida and Pennsylvania are considering the ban. Businesses who distribute plastic foam containers, especially fast food places and cart vendors, have until January 2016 to find alternative packaging for their products or face a fine. Until then, the city will work with street vendors, small food restaurants and other businesses that have been using plastic foam containers for this years transition. What do you think about the ban? 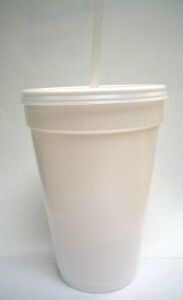 Do you think the ban of non-recyclable plastic foam containers will spread across the United States and the world?